Do you want a touch up? Do you want a touch up? That question is asked more than 10 times when you walk across the huge floor covered with make-up and perfumestands at Saks Fifth Avenue. They carry all the brands you can think of. One time I was persuaded to have the touch up which turned out to be a full make up redo. It was fun but knowing that I always feel obligated to buy something - which I then never ever use - I now always politely say "no thanks". 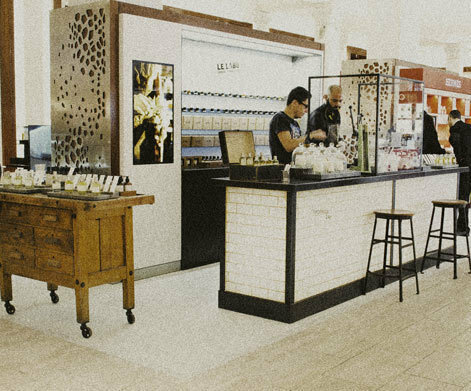 Daphne however was intrigued by the Le Labo scents. The salesrep, or perhaps we should refer to him as advisor, was so in love with the brand that he was selling that he made sure he told Daphne everything he knew. I left her behind and when I returned half an hour later, she was still listening to him and sniffing at all the different bottles. 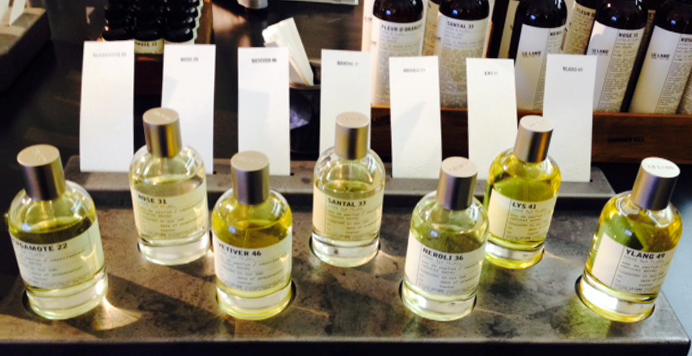 By the way, Le Labo passed the "how long can you smell it" test gloriously. Two days (and two showersessions) after it was sprayed on Daphne we still got a wiff of it. How about that? While Daphne was ondergoing her Le Labo lecture I sneekpeaked Saks. Shortly. It's huge! 10 floors filled with clothing (his/hers/kids) jewellery, (home)accessories and purses. 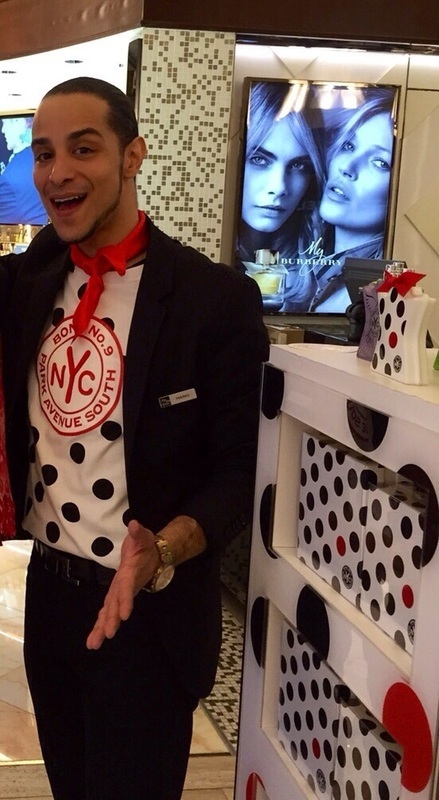 Saks also has a fursalon, all big and luxurious stores in New York City can't seem to be without. 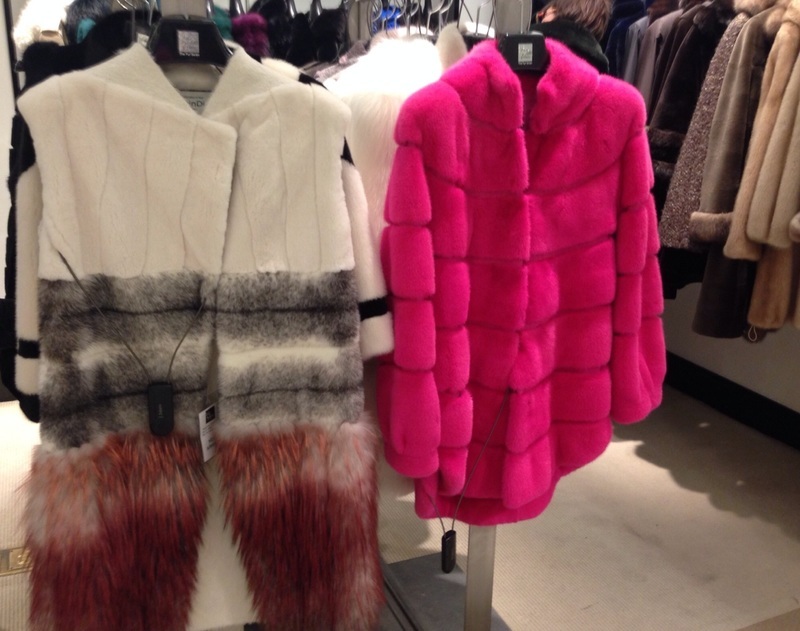 A bright pink fur ... no thanks, not for the Newyorkcitytrippers. We prefer the faux fur. The friendly Bond no. 9 nYc host didn't mind striking a pose. 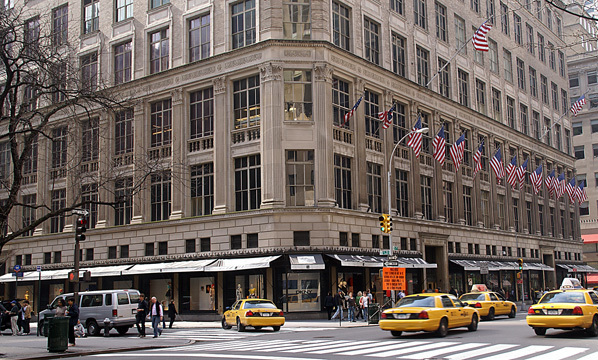 A very modern luxurious and elegant store, Saks Fifthe Avenue at 611 Fifth Avenue.